A scientist, a nutritionist, and two chef-athletes – the crack squad behind The Real Meal Revolution have walked or in some cases run the hard yards through the gauntlets of nutritional science and self-experimentation. The revelatory stance and the mouth-watering recipes in this book is the result of their experience combined with overwhelming scientific evidence. 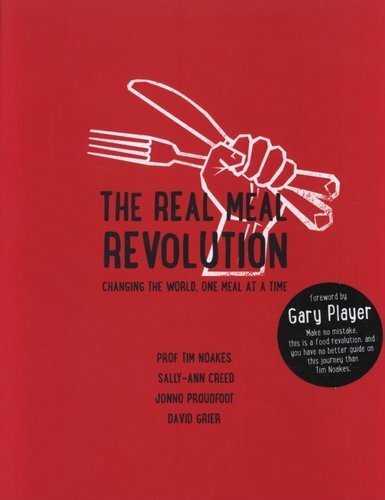 Part myth-busting scientific thriller, part mouth-watering cookbook, the goal of the real meal revolution is to change your life by teaching you how to take charge of your weight and your health through the way you eat. 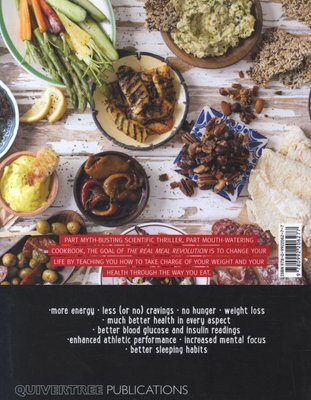 This is a very interesting 'diet' book although I suspect to actually obtain the desired results you need to make this a 'lifestyle'. I like the way that you are encouraged to eat delicious food, all the recipes look delicious and seem easy and obtainable for the average person to make. After reading this book I was excited about trying this lifestyle because it seems like one I can stick to. There is also very interesting background as to why we should eat high fats and low carbs with moderate protein. I liked the way that foods were categorized into green (go for it), orange (caution) and red (no). I look forward to embracing this lifestyle change.